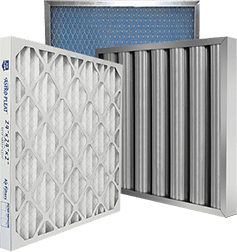 Aluminum Moisture Separator | Air Filters, Inc. 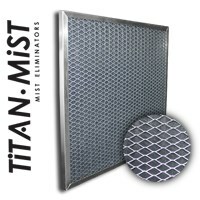 The washable Air Filters, Inc.™ Titan-Mist™ Aluminum moisture separator is built with corrosion resistant materials and serves two important functions, its primary function is to collect water droplets and oil mist from an air stream and divert the liquid to an appropriate drain. It also functions as a washable, low efficiency particulate filter designed for use in outside air ducts; side access housings and built up filter banks.